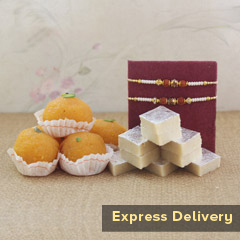 • Roli & chawal Express with our ‘Express Services’! 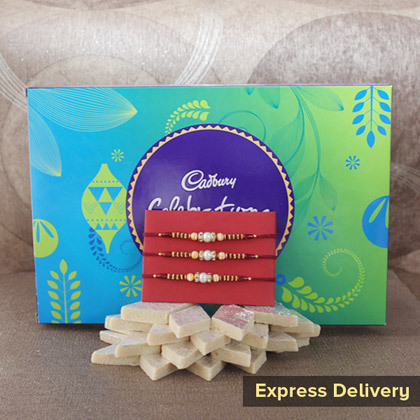 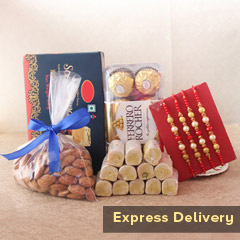 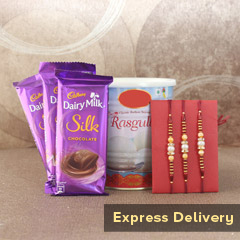 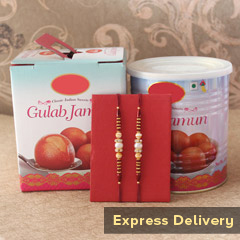 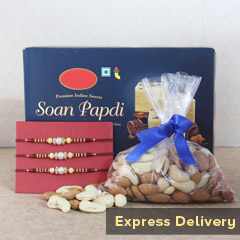 We have this set of three Rakhis along with the delicacies of chocolates and sweets; you can send this amazing gift hamper in the last hour. 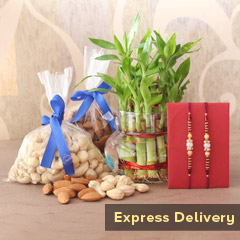 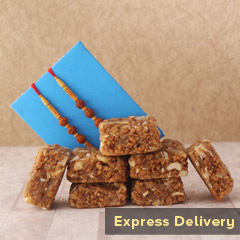 Once you have placed your order, it’s our responsibility to get it delivered to the location on the stipulated time.